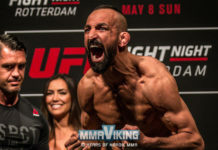 Sweden’s Sirwan Kakai (11-2) has finally been signed to the UFC, but ‘Zohan’ won’t have time to celebrate as he will only have a few days before stepping into fight. The UFC announced the signing and his bout on the UFC Fight Night card in Hollywood, Florida. “What can i say! It could not come at a better time! I am ready for whats coming and i will make most of it!” posts Kakai on Facebook after the signing. Kakai will be facing veteran Danny Martinez (16-6) in a bantamweight bout at the Hard Rock Hotel & Casino. 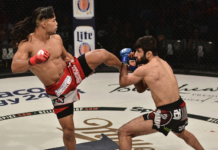 San Diego’s Martinez is coming off a Fight of the Night war with Scott Jorgensen last June, which he lost by decision. Prior to this bout the Alliance fighter lost by decision to Chris Cariaso. The 30 year old was on a four fight winning streak before getting signed to the UFC and fighting at flyweight. 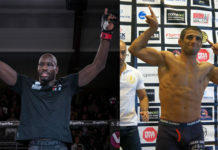 “I am so confident, I really believe I am one of the best fighters in the world.” says Kakai to MMAViking.com just last month as he awaits news on his next bout. “I want to thank everyone for the support, its been many years of up and downs, but finally i accomplished one of my goals, and now i just looking forward and going for the top!” Kakai has a two fight winning streak heading into his first UFC bout versus Martinez. The 25 year Kakai has won his last 11 of 12 fights, only losing another close decision in Japan to Taichi Nakajimi in September of 2013. The American Top Team in Florida fighter is perfectly positioned geographically to be added to Saturday’s card in Florida headlined by Yoel Romero and Lyoto Machida as UFC Fight Night 70 has been in turmoil lately as multiple Brazilian fighters were unable to receive visas for the event. Kakai versus Martinez is expected to be the first fight of the night and can be seen on UFC’s Fight Pass.